Nine Nigerian creative legends including screen diva, Omotola Jalade-Ekeinde, Afrobeat legend, Femi Kuti and Afropop star, Tiwa Savage are billed to speak at the 2019 Cannes Lion Festival. The five-day festival, incorporating the awarding of the Lions awards, will hold from June 17 to June 21. Other Nigerian speakers include Steve Babaeko of X2M media, Copywriter, Oje Ojeaga, media personality, Fade Ogunro, marketing expert, Idiaremo Atimomo. Others are filmmaker, Tolulope Ajayi and media executive, Fidelis Anosike. They will be speaking alongside globally renowned media and advertising practitioners including Shonda Rhimes, Winnie Harlow and Alfonso Cuaro. “I’ll be speaking on “The Authentic African Story”. Also speaking at the largest gathering of creative thought leaders are writer/ Autor Shonda Rhimes, Director Alphonso Cuaron. 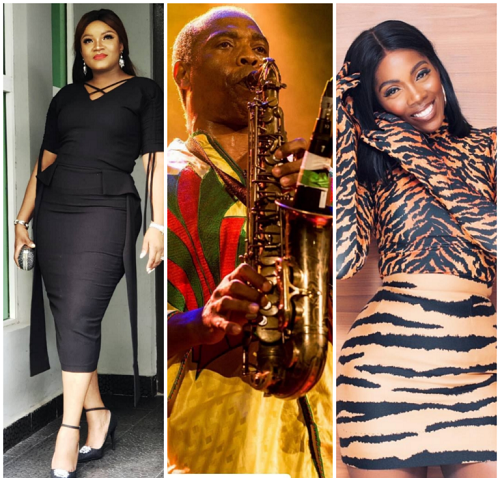 Ogunro, Tiwa and Kuti will speak on ‘Afrobeat VS Afrobeats’ while Anosike, Omosexy and Babaeko on ‘The Authentic African Story’.